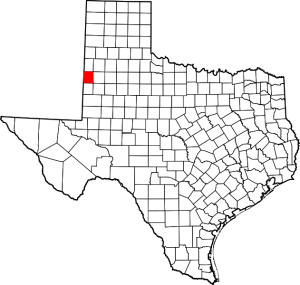 I was the guest of Cochran County and Morton on July 28, 2013. 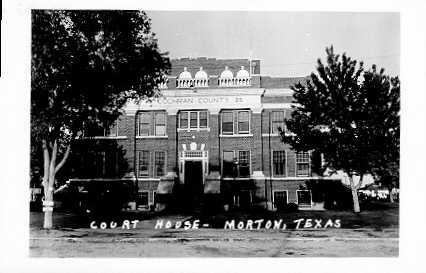 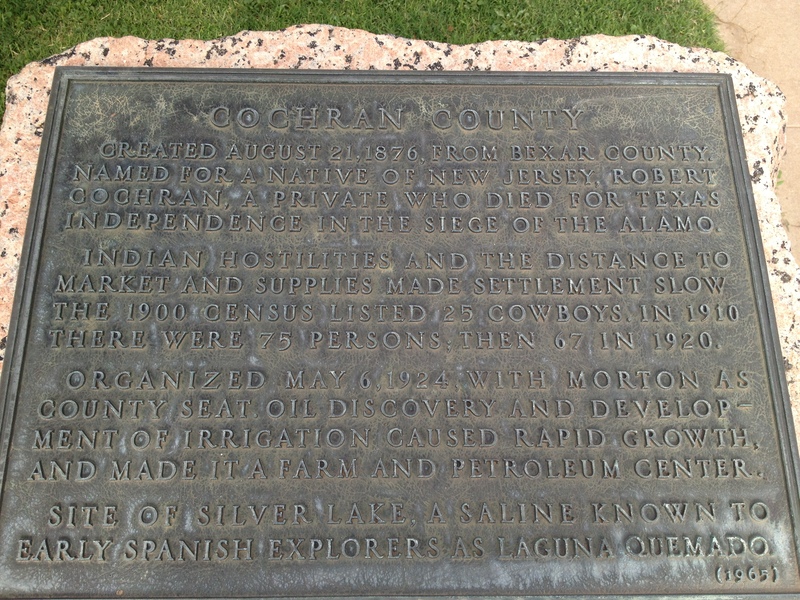 The 1926 courthouse is the only one Cochran County ever had. 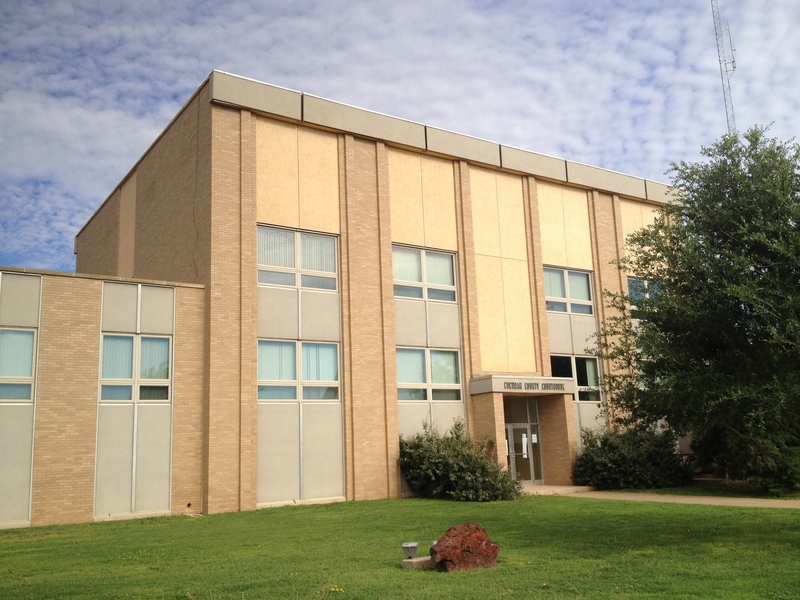 Originally built of brick and steel, the W.R. Kaufman-designed structure was of Classical Revival design. 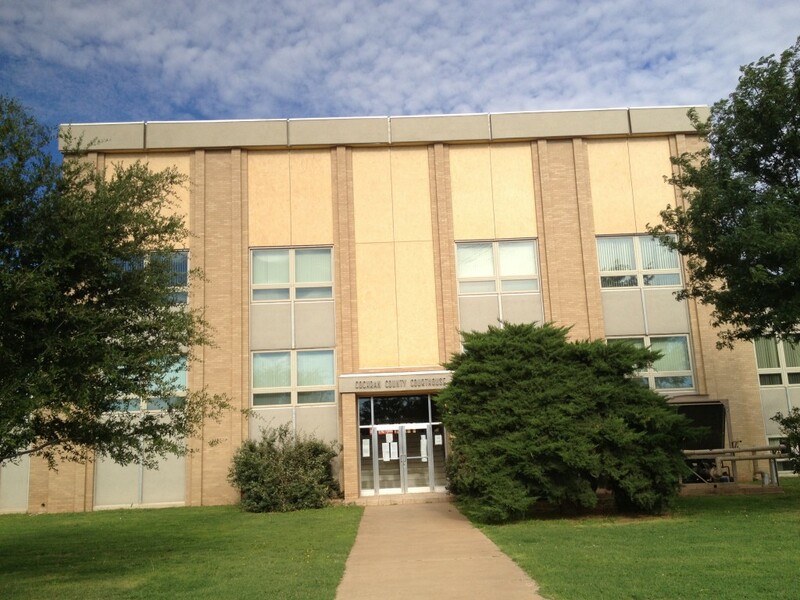 However in 1968, it was remodeled beyond recognition to fill a modern shell. 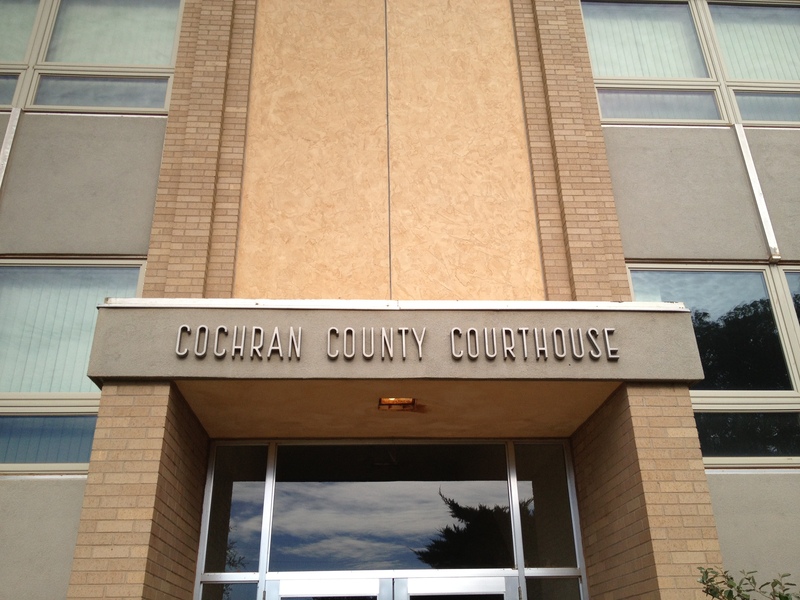 The county should be ashamed of the 1968 remodel. 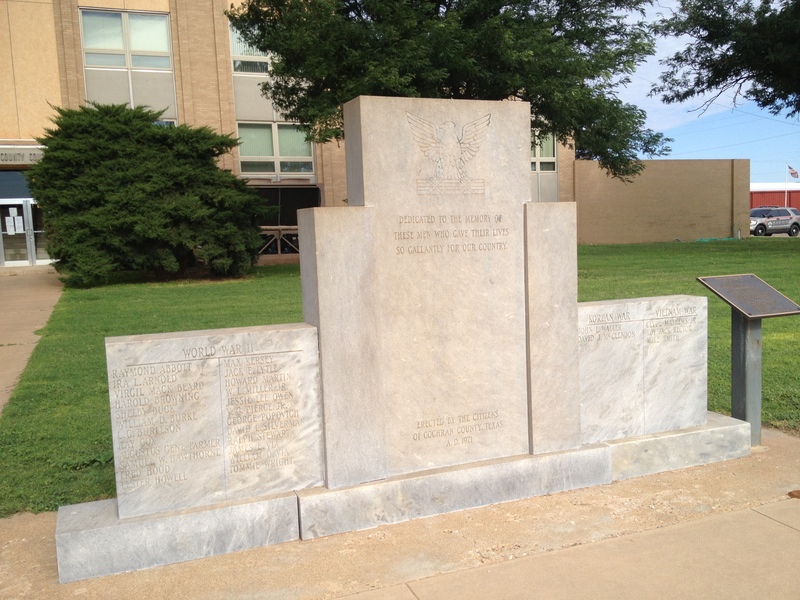 The lawn around the building features an assortment of monuments/memorials. 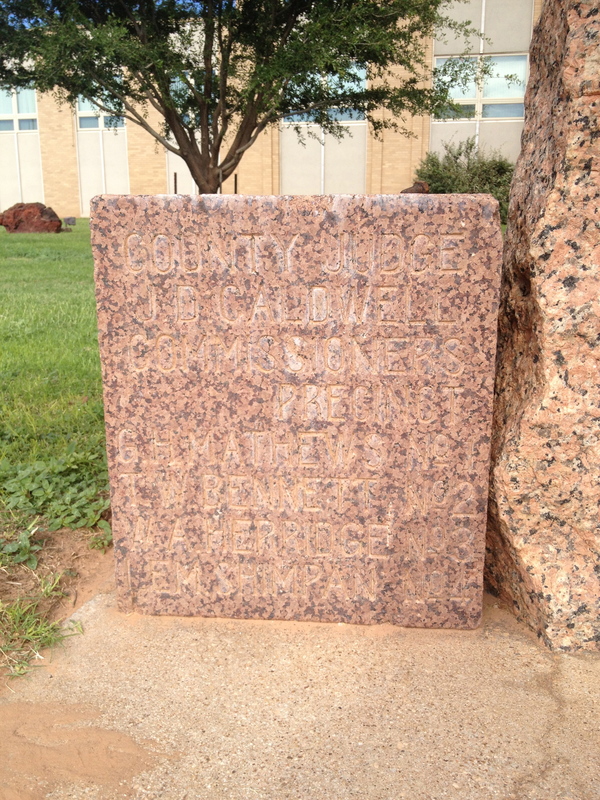 I’m unaware of what this is, but I’d like to think it’s the cornerstone from the original 1926 building. 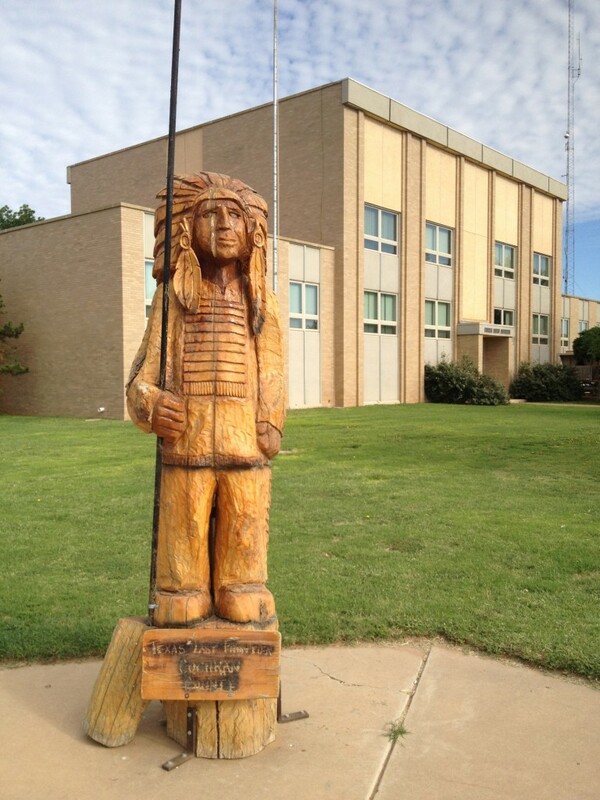 The most interesting feature is the courthouse’s statue of an Indian chief.